US Ambassador Sheila Gwaltney visited the USAID-funded SPRING project in the Naryn Oblast of Kyrgyz Republic on June 8th and 9th. 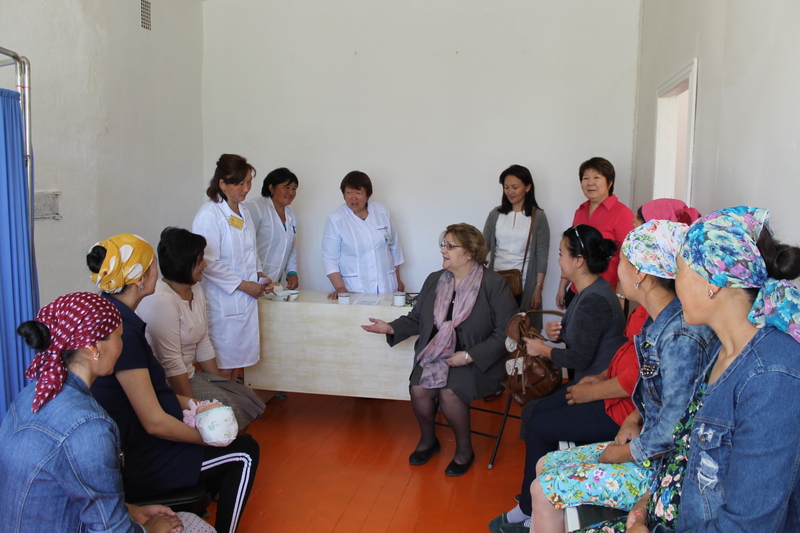 On June 8th, Ambassador Gwaltney toured a SPRING-supported district hospital that provides maternal and child nutrition services to 68 thousand people, and met with new mothers receiving important counseling regarding the nutrition of their babies. 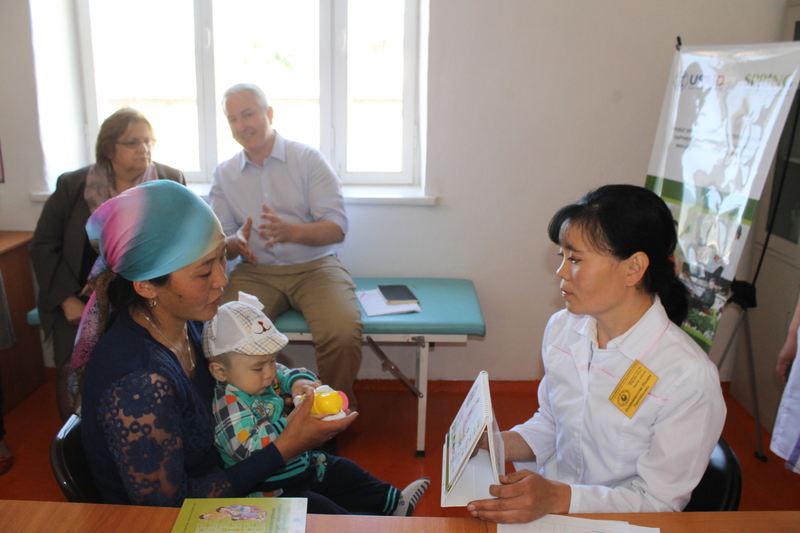 On June 9th, Ambassador Gwaltney visited Jan-Bulak village in rural Naryn where she visited a health outpost and met with beneficiaries of the SPRING program. 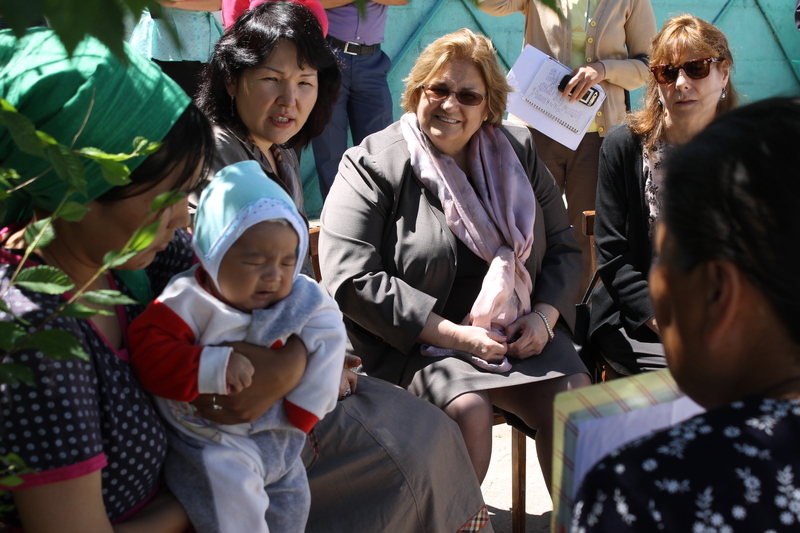 She observed health workers counseling women, stating “You are taking care of mothers so they can take the best care of their children.” The Ambassador observed a SPRING volunteer counsel a young mother in her home about the importance of exclusive breastfeeding for the first six months of her child’s life. 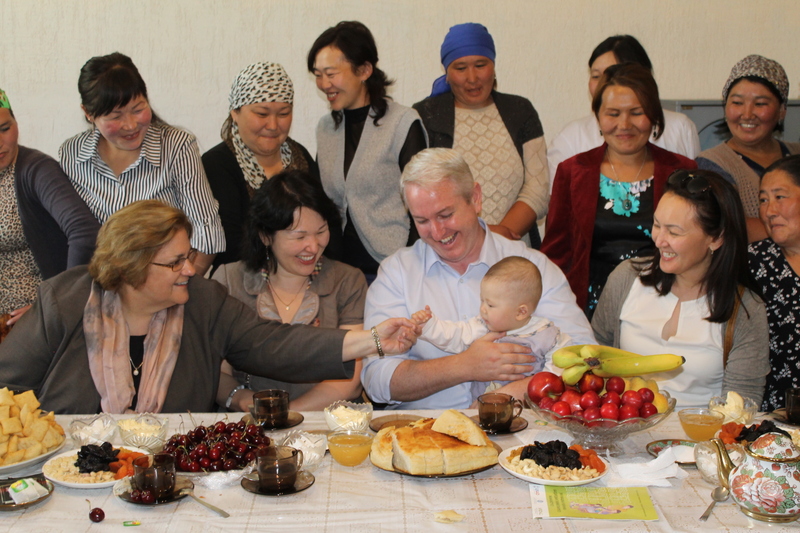 Ambassador Gwaltney then joined a meeting of local women, facilitated by a SPRING volunteer, to talk about the importance of breastfeeding for better nutrition outcomes, and how others in the home can support mothers so they have sufficient time for breastfeeding throughout the day.